Thursday, June 27, 2013, ended with combined mortgage rates dropping from their earlier highs of reaching 4.75 percent for the 30-year fixed mortgage rate average bellwether. The beginning of the week was estimated to continue the climb from Friday, as the Federal Reserve's opinions on quantitative easing ending triggered a fast rate rise from the high 3 percent range. Instead, the same interest rate metric closed Thursday with an average just a pinch above 4.5 percent, which is probably a good thing for anyone looking to buy a home this weekend. The difference of almost a 1/4 point can save hundreds of dollars a month in interest charges. The National Realtors Association came out with a statement today that, in their view, the rising rate environment may be causing a controlled panic as buyers are moving to purchase versus waiting any longer. If true, this means that the last optimists are giving up on hoping for another rate drop and are accepting now is the time to borrow for cheaper interest charge costs. The latest industry news is interesting when at the same time the Mortgage Bankers Association stated that home loan applications are actually at their 19-month low versus the previous year and half (http://www.mortgagenewsdaily.com/06262013_application_volume.asp). So, until further measurements come out, the color of the business future in home buying depends a lot on whose analysis is the basis of conclusion. So, as noted above, the 30-year fixed rate mortgage average closed the day at 4.52 percent and the 15-year fixed counterpart also perched just above 3.7 percent. Any chance of a high 2 percent loan is pretty much impossible without buying down points up front. 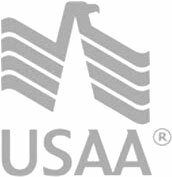 The FHA/Veteran's Administration loan rate remained high at 4.25 percent with actual quoted almost at 4.35 percent. Finally, the 5-year adjustable rate mortgage average cracked the 3 percent mark.